SALEM, OR — Today, the petitioners for Initiative Petition 43 (IP 43) suspended efforts to qualify for the November 2018 ballot. This follows the similar decisions of petitioners for Initiative Petition 44 (IP 44) last week and Initiative Petition 28 (IP 28) several months ago. 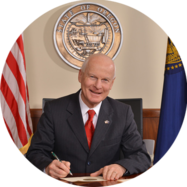 Earlier this year, the Legislature rejected Secretary Richardson’s recommendation to empower grassroots petitioners. His solution would have allowed petitioners to circulate their petitions that had already received a certified ballot title from the Attorney General while any legal challenges are pending with the Supreme Court.